This is the second one of these we will have built, it seems to be a conversion a lot of Mk1 owners are very interested in and who wouldn't be, 190bhp and a 6 speed box all weighing next to nothing more than the original 4a-ge. After that the engine can be removed again for preparing. 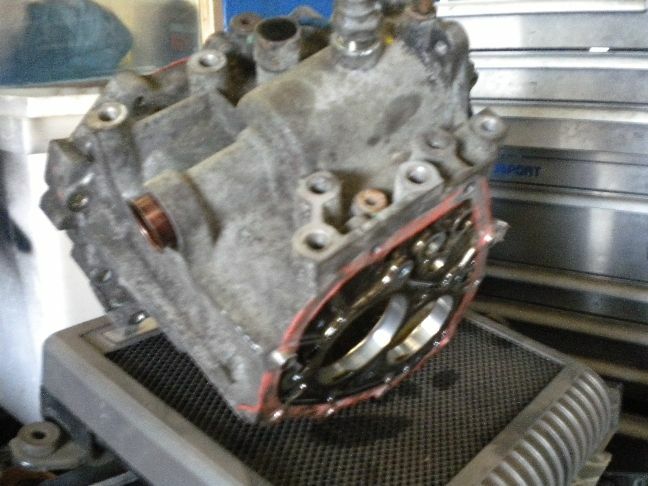 Work then began on the gearbox, it seems the norm for the 2zz box is to pull it apart, and install the Mk3 LSD unit along with giving it a better 6th gear ratio than Toyota did, so that is exactly what we are doing. 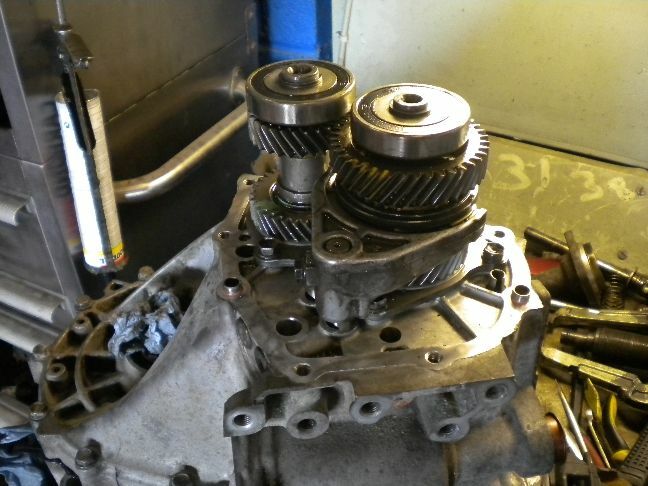 As well as a Celica 6 speed gearbox and a Mk3 gearbox as well, so that's 3 gearboxes stripped to use parts from all of them to build one ultimate gearbox. 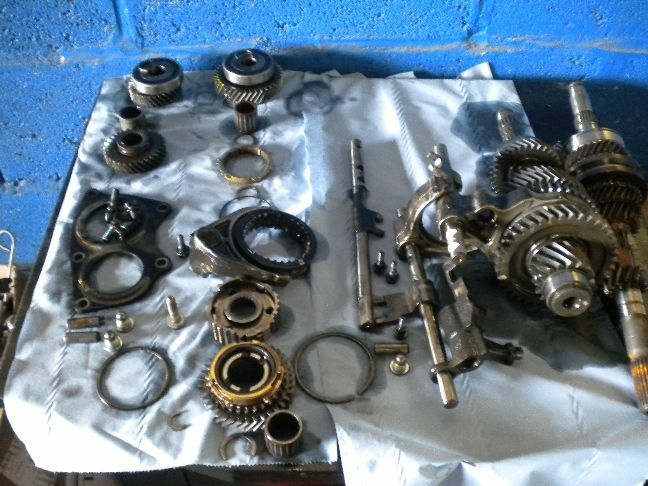 So all of these parts together will give Ian the gearbox of his dreams. We also use the Mk1 speedo drive which fits the 2zz box and Mk2 NA driveshafts, a real parts bin build if ever there was one! Nice one Paul, looking good and watching this build with interest. My car, the first 2zz Paul converted, has now done about 10,000 miles since the transplant and i'm still loving every minute behind the wheel. mmmmmm lovely ultimate mk1 same weight more power 6 speed box lsd lovely. versus ultimate v6/v8 nutjob power is never enough mk1 hmmm could have both one for the missus me thinks, but she would never find sixth gear. 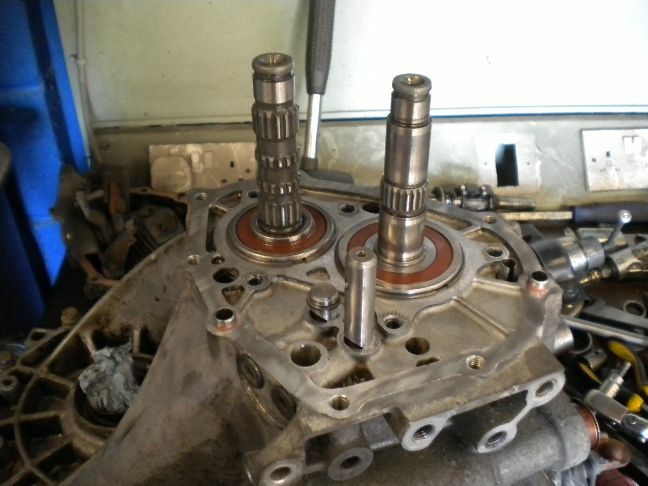 Today saw the Celica centre casing added to the gearbox, this is an improvement over the first conversion, this gives us the oil seal and selector linkages on the correct side of the gearbox without any hole drilling and trying to make a new seal position work, which was a problem on the previous conversion. 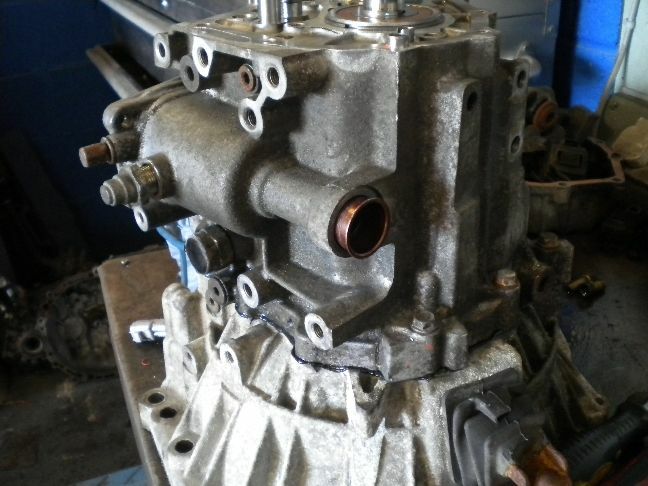 I have spoken to Mark (Rexer) and asked that one day we can operate on his gearbox again and fit a Celica centre casing as his still has a slight weep and we can't be having that! Here is the Corolla 5th set but Celica 6th set fitted, which makes 6th longer. The completed Frankenbox, i have modified Mk1 selector arms to fit the Celica selector shaft. This box also has the Mk1 reverse light switch too taking the total number of different gearbox parts going into this totalling four! This just needs prepping and painting, then new oil seals fitting. 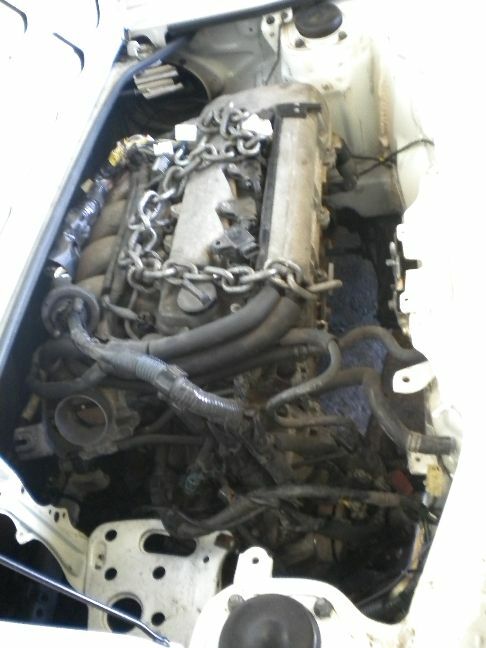 Tomorrow will see engine/gearbox detailing beginning and then it can be installed. 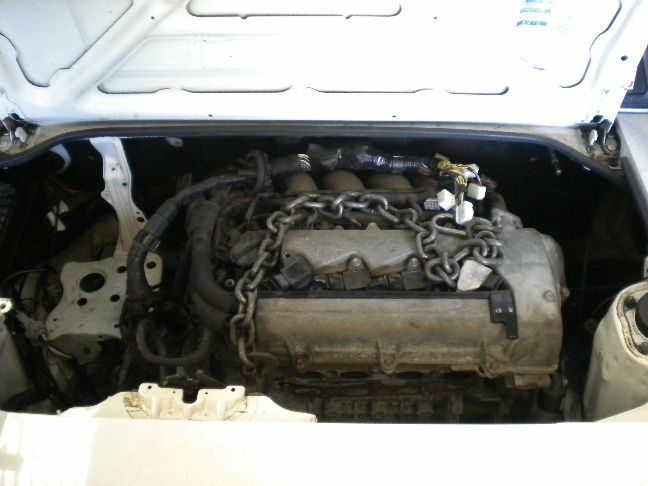 Anybody wanting to do this should look at for an imported celica m sport. This has the right gear ratios and the LSD already installed, that'd just leave the selector arms to modify. Also the M Sport has a 200BHP version of the 2zz, Bonus! 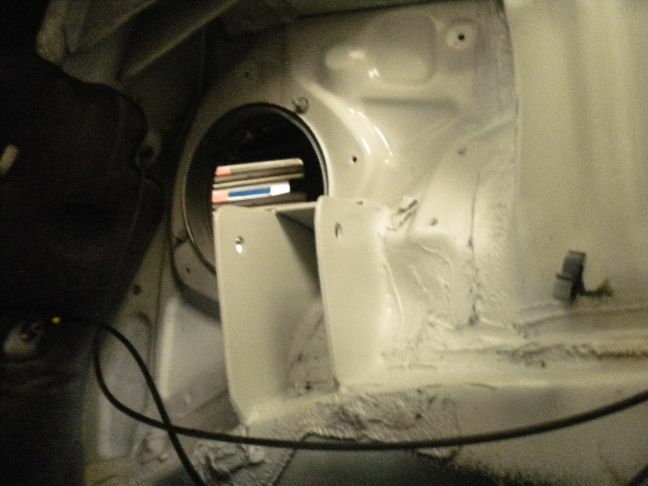 paul is any of this possible on the s54 boxes or is it just the newer 6 speed celica / corolla boxes.